The first Sustainable Blue Economy Conference was held in Nairobi, capital of Kenya with the theme ‘The Blue Economy and the 2030 Agenda for Sustainable Development’. India was represented by Union Minister for Water Resources, River Development and Ganga Rejuvenation Nitin Gadkari. Blue Economy is economic benefit and value that is realized from Earth’s coastal and marine environment. According to Global Wage Report 2018-19 published by International Labour Organization (ILO), women are paid most unequally (34% less) in India, compared to men, when it comes to hourly wages for labour. This gap in wages, known as gender wage gap is the highest among 73 countries out of 136 countries studied in the report. Globally, on average, hourly wages of women are 16% less than those of men. Established in 1919 with headquarters at Geneva, ILO is United Nations agency dealing with labour issues. 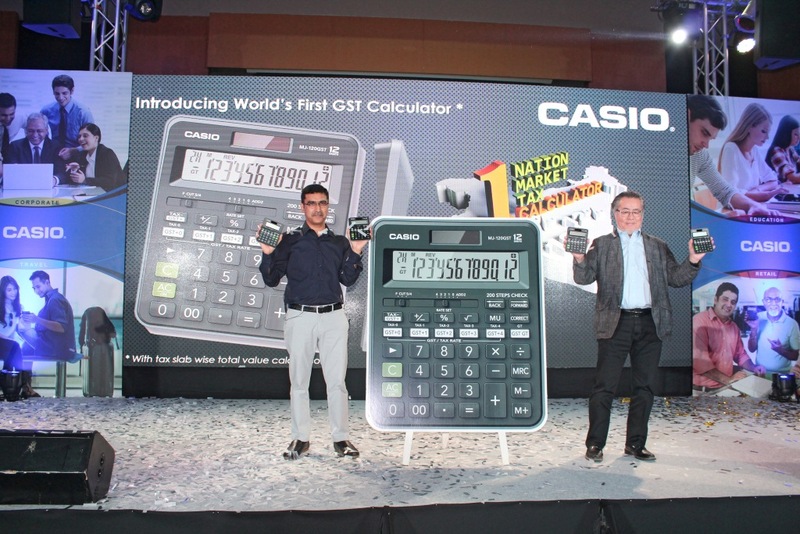 Japanese electronics company ‘CASIO’ has launched world’s first Goods and Services Tax (GST) calculator in India to simplify the GST calculations for tax payers The company has two variants of GST calculators MJ-120GST and MJ-12GST in the Indian market. These new GST calculators will provide solutions for GST based invoicing. These GST calculators feature built-in GST tabs for all five tabs- 0%, 5%, 12%, 18% and 28%. President Ram Nath Kovind has appointed Arvind Saxena as Chairman of Union Public Service Commission (UPSC), which conducts examination to select bureaucrats, diplomats and police officers. Prior to this appointment, he was working as acting Chairman of UPSC since June 2018. He had joined UPSC as member in May 2015. Prior to joining the UPSC, he was working as director of the Aviation Research Centre (ARC). He joined Indian Postal Service in 1978. UPSC is a constitutional body consisting of Chairman and ten Members appointed and removed by President for a term of six years. Chairman of IT major Wipro and philanthropist Azim Premji was bestowed with highest French civilian distinction Chevalier de la Legion d’Honneur (Knight of the Legion of Honour). He was awarded for his outstanding contribution to developing information technology industry in India, his economic outreach in France and his contribution to society as philanthropist through the Azim Premji Foundation and Azim Premji University. Legion d’Honneur (Legion of Honour) is the highest civilian award given by the French government to person for his outstanding service to France, regardless of the nationality of the recipients. It was instituted in 1802 by Napoleon Bonaparte. Union Government has appointed Anil Manibhai Naik as Chairman of National Skill Development Corporation (NSDC). He is currently Group Chairman of engineering conglomerate Larsen and Toubro (L&T). He was awarded Padma Bhushan, India’s 3rd highest civilian award in 2009 for his outstanding contribution to economic growth of the country. Founded in 2009, NSDC is Public Private Partnership (PPP) under Ministry of Skill Development & Entrepreneurship (MSDE) for providing skilled manpower across various industry sectors. Himachal Pradesh has become the first state in the country to implement Emergency Response Support System (ERSS) as Union Home Minister Rajnath Singh launched ERSS number 112 for the state. Under this system, all emergency numbers like 100 for police, 101 for fire, 102 for ambulance and disaster response have been integrated into one number ‘112’. This emergency number has been introduced on basis of US emergency number 911. The ERSS project was approved by MHA based on the recommendations of the Justice Verma Committee in the backdrop of incident of Nirbhaya in December 2012. Union Government has conferred status of Miniratna: Category–I to National Projects Construction Corporation Limited (NPCC). The empowerment of miniratna status to NPCC will help company to take speedy decisions by enhancing delegation of powers to Board. Incorporated in 1957, NPCC is schedule ‘B’ Central Public Sector Enterprise (CPSE) under administrative control of Ministry of Water Resources. Department of Public Enterprises under Ministry of Heavy Industries & Public Enterprises grants status of Maharatna, Navratna, and Miniratna to Public Sector Undertakings (PSUs) and Central Public Sector Enterprises (CPSEs) based upon profit made by these enterprises. 1. Where is the headquarters of International Labour Organization located? 2. Arvind Saxena who has been appointed as chairman of UPSC was an ___ officer. 3. How many members are there in Union Public Service Commission (UPSC) in addition to the chairman? 5. When was National Skill Development Corporation (NSDC) established? 6. Which is the first state in the country to implement Emergency Response Support System (ERSS)? 7. What is the Emergency Response Support System number launched by Union Home Minister Rajnath Singh? 9. When was National Projects Construction Corporation Limited incorporated? 10. Who grants the status of Maharatna, Navratna, and Miniratna to PSUs and Central Public Sector Enterprises?